Bunches of flowers, crates of different fruits, piles of coloured spices. See how we sort things by shape, size, colour and flavour on a vibrant trip to the market! 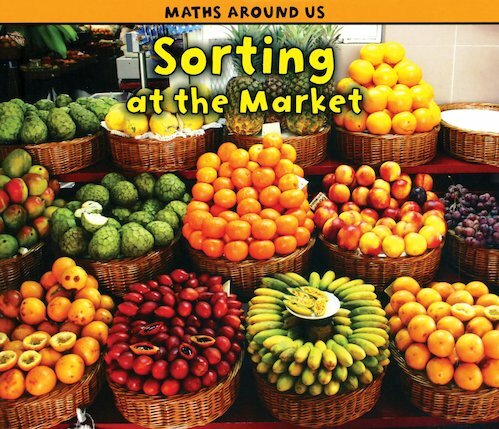 Perfect for beginners, this deliciously photographed guide allows children to explore simple methods of sorting objects in an exciting market environment. Using engaging images and easy, repetitive text, it introduces basic concepts of differentiation, challenging young learners to try their own hand at sorting various tempting foods and wares.